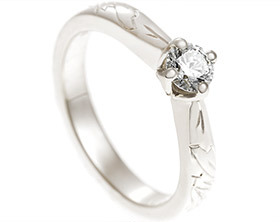 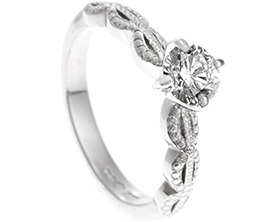 This beautiful floral inspired palladium engagement ring has a delicate four claw setting inspired by the petals of the lotus flower. 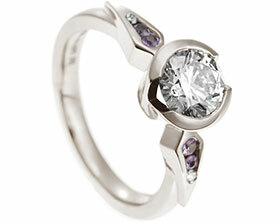 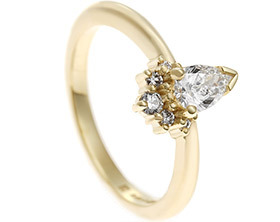 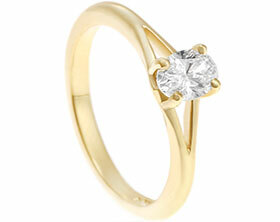 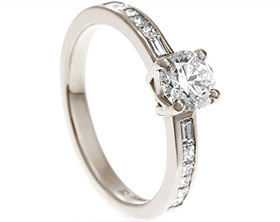 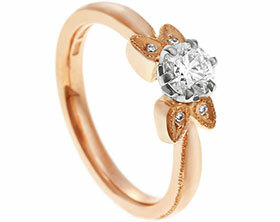 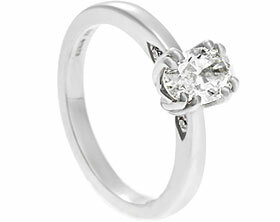 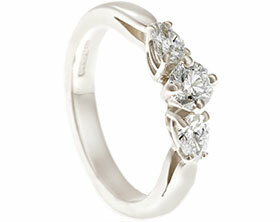 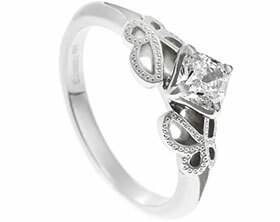 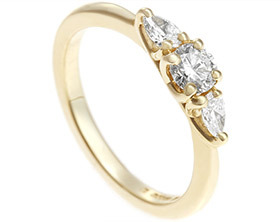 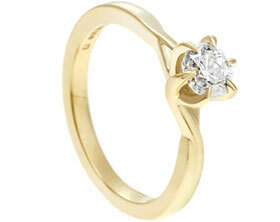 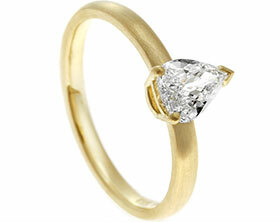 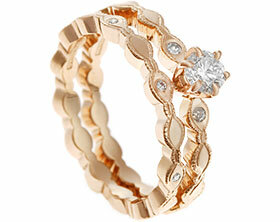 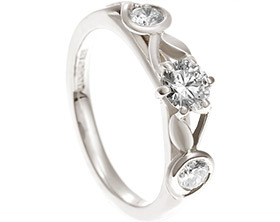 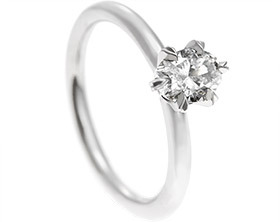 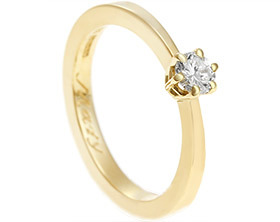 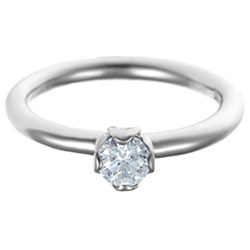 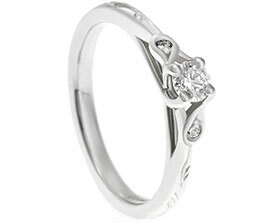 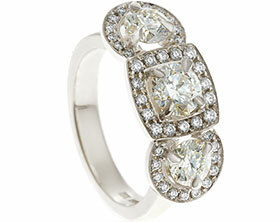 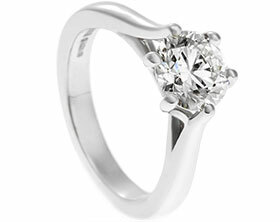 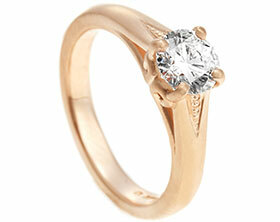 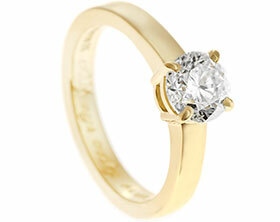 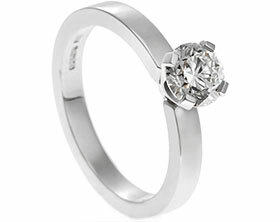 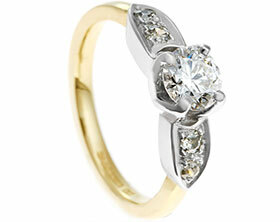 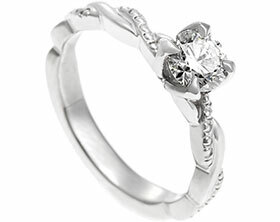 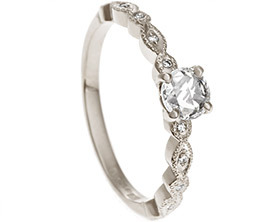 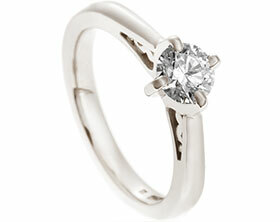 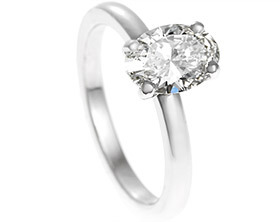 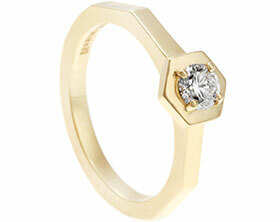 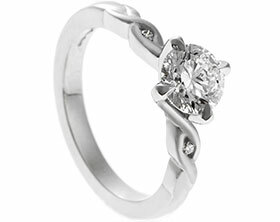 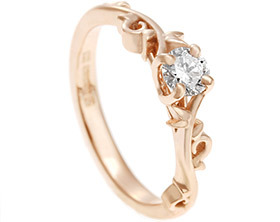 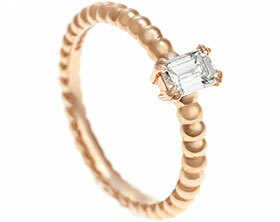 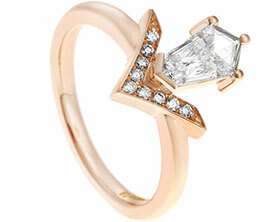 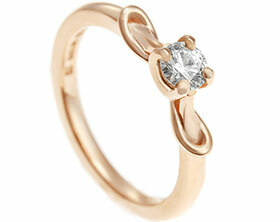 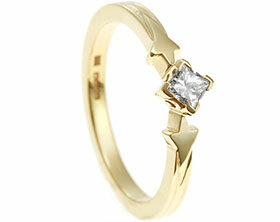 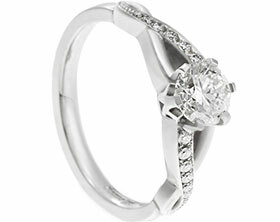 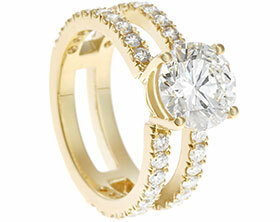 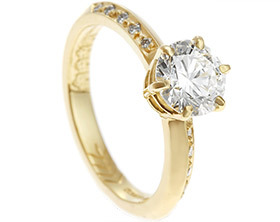 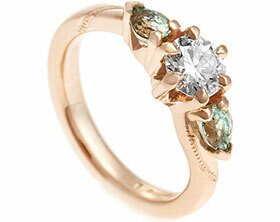 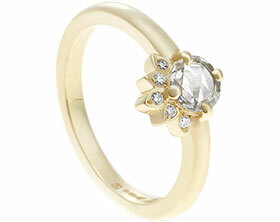 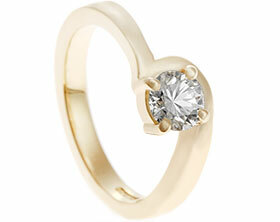 The stone is a 4.5mm 0.30ct brilliant cut HSI diamond that sits delicately in the lotus petal setting. 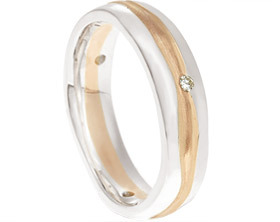 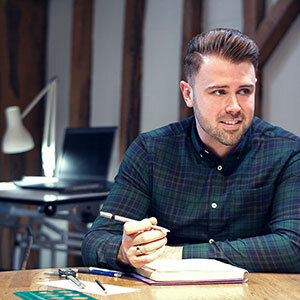 The halo profile band is approximately 2mm wide the whole way round the band, creating a soft but modern look. 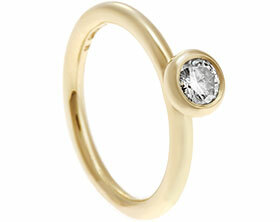 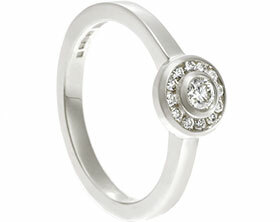 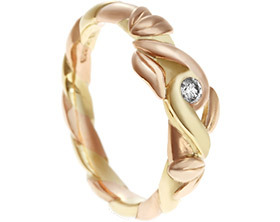 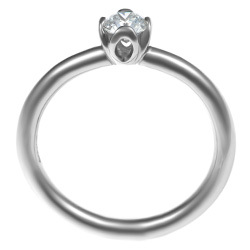 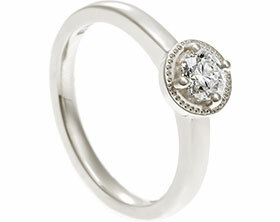 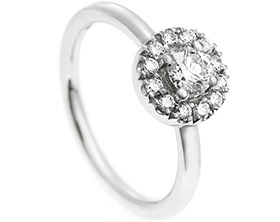 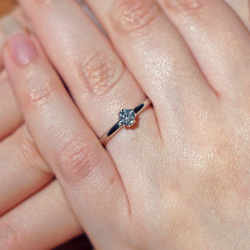 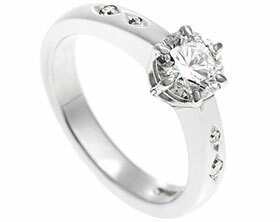 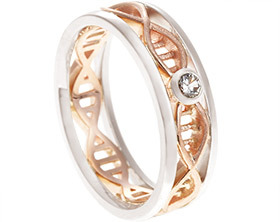 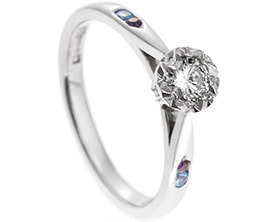 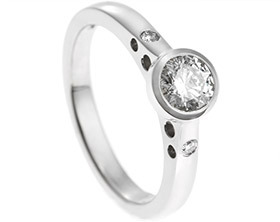 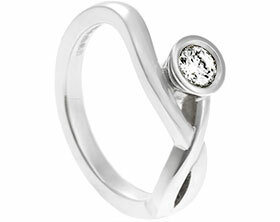 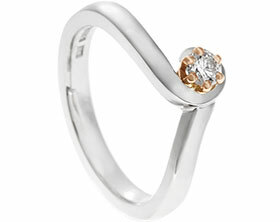 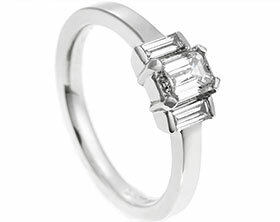 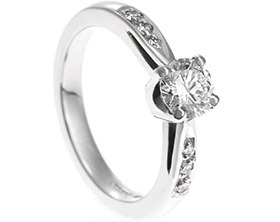 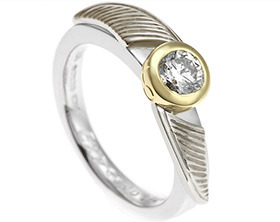 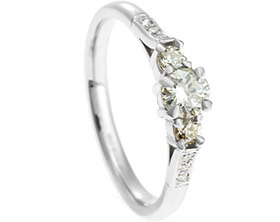 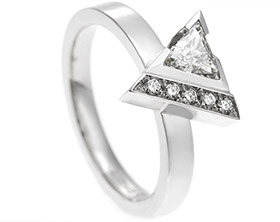 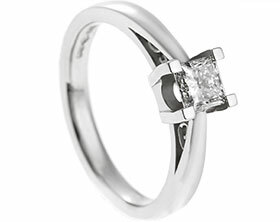 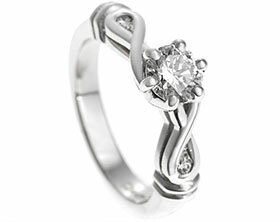 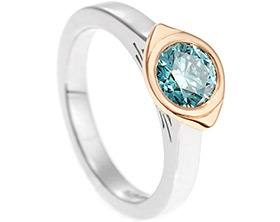 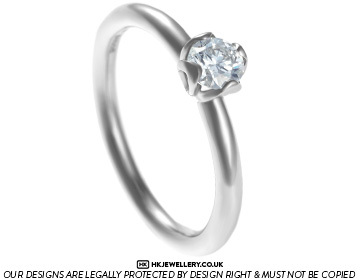 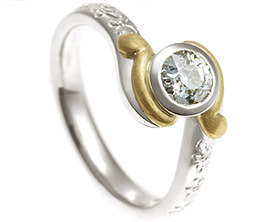 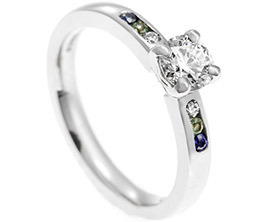 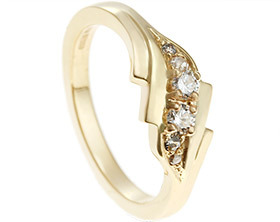 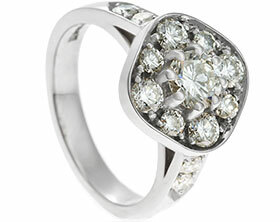 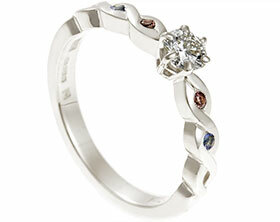 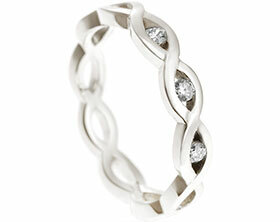 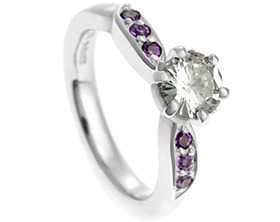 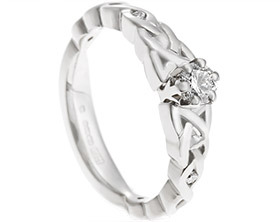 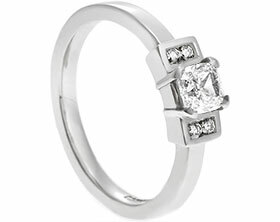 We have finished this beautiful ring with a high polish to add to the sparkle.